Mike Shawaryn does not have any MLB stats for the season. Draft: 2016, Boston Red Sox, 5th rd. 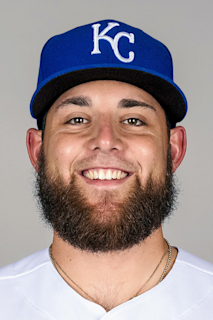 January 10, 2019 Boston Red Sox invited non-roster RHP Mike Shawaryn to spring training. October 5, 2018 RHP Mike Shawaryn assigned to Mesa Solar Sox. August 3, 2018 RHP Mike Shawaryn assigned to Pawtucket Red Sox from Portland Sea Dogs. July 5, 2018 RHP Mike Shawaryn assigned to Pawtucket Red Sox. April 3, 2018 RHP Mike Shawaryn assigned to Portland Sea Dogs from Salem Red Sox. March 21, 2018 RHP Mike Shawaryn assigned to Boston Red Sox. June 4, 2017 RHP Mike Shawaryn assigned to Salem Red Sox from Greenville Drive. April 4, 2017 RHP Michael Shawaryn assigned to Greenville Drive from Lowell Spinners. July 17, 2016 RHP Michael Shawaryn assigned to Lowell Spinners. July 15, 2016 Boston Red Sox signed RHP Michael Shawaryn.